Through no fault of MY own... our car was slightly broken. 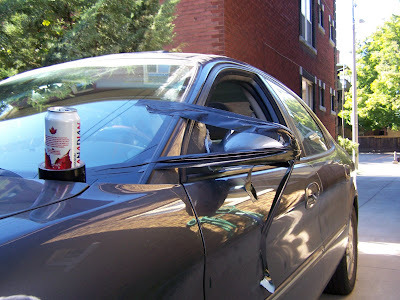 The mirror became... seperated from the body of the car. 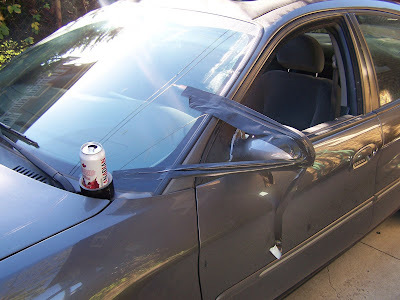 For better results, you shoulda glued the beer holder onto the MIRROR... "No, ossifer, I do NOT any alcoholic beverages inside the car, HIC"